In mid September 2011 I traveled to the West Bank for the olive harvest and to work with Paidia International Development. A three month commitment became six, which became nearly nine months in Palestine. I started with my "vision and mission". During my time there, however, I had to accept that stubbornly holding on to my idea of what I was supposed to do only resulted in frustration. Only when I let go and "Let My Life Speak", was I able to rise above that frustration and accomplish something. 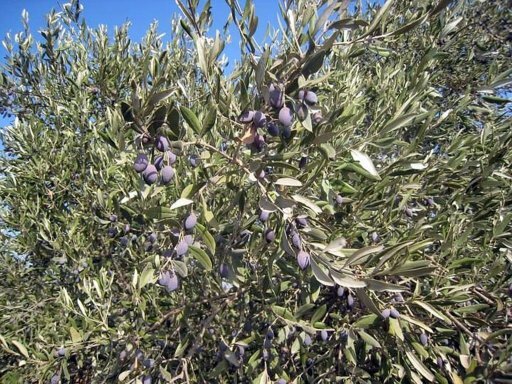 In the Fall I did pick many olives around the Bethlehem area, as well as around Jenin with the Palestinian Fair Trade Association Farmers. In February and March I also planted olive trees, in Ni'ilin VIllage where hundreds of trees have been destroyed by the path of the annexation wall, and near the Cremisan Monastery and Winery in Beit Jalla which is also loosing land to the wall. Along with these activities I worked many hours as the Interim Country Director for Paidia. But the most rewarding experiences where the daily interactions with the amazing people I met, both in the West Bank and Israel. It was through those interactions that I was able make a small difference in the lives of real people with real challenges - it was helping Muna get the glasses she needed to continue her daily Qur'an reading, it was aiding a father in paying for his son's MRI (his son has spina bifida), it was struggling with a woman suffering with mental illness to find help, it was connecting local village activists with the funds needed to develop and maintain a website telling the story of their village, and it was learning more about life after 1948 from Palestinian citizens of Israel (20% of Israeli citizens are Palestinians - sometimes referred to as the "forgotten Palestinians"). I returned to the West Bank September 23, where I am building on the work I began last year. Of course I will participate in the olive harvest, as well as continue collecting stories for the anthology I hope to publish. I am also working with Paidia again and with the Orient & Dance theatre. I helping them to better accomplish their missions through strategic planning, program development and and grant seeking. Your gift will help to cover travel and living expenses while I travel and work in Israel /Palestine. The cost for me to participate in the olive harvest averages and the other advocacy work for nine months covers airfare, room and board, ground travel and incidental expenses. This year I will have to cover the rent of my apartment myself which increases my costs over last year. However through other anticipated savings, my costs should remain under $8,000. I feel so strongly about being part of the solution in Palestine that I am investing $3,000 from my personal savings. But, I still need the help from friends. Not only will your help will get me there, more importantly, when I travel to Israel / Palestine, the individuals I meet understand that I am there through the support of many people. They know I get there “on the wings of angels”, which gives them hope that the current situation will not last. I recently was told "You are noting like what I thought Americans were like". So hopefully I am a good ambassador as well. Friends in the Grand Rapids area are invited to attend our Dessert Reception and Fund Raiser on September 14. Click for details. There are several ways you can make a financial gift for this project. Tax deductible gifts can be made to Paidia International Development. When sending a check or money order, please make sure to write Olives for Hope on the check memo line and mail to me along with the donation form - PO Box 121, Woodland MI 48897; or, if using Paidia’s secure credit card payment indicate Olives for Hope in the comment box and forward a copy of the email receipt to me olivesforhope@gmail.com – this is very important to assure crediting the gift correctly. 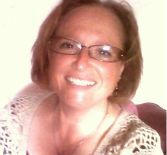 Gifts can also be written directly to me or made through PayPal (olivesforhope@gmail.com), but are considered a persoanl gift and are not tax deductible. Whichever method you choose, I appreciate your help and want to thank you. Please complete the gift acknowledgement form found here and, if sending a check or money order, mail together to PO Box 121, Woodland MI 48897, Attn: Cathryn; or if utilizing secure on-line payment, email the form to olivesforhope@gmail.com. This will also make it easier to track gifts and make it possible for me to send you a thank you gift. *International friends wanting to use PayPal for gifts in non-U.S. funds, please email me for instructions. For gifts of $50 or more: You will receive an original 5x7 print. For gifts of $100 or more: An olive tree will be planted in your name. You will be credited on the website and receive a free copy of the launch DVD, containing the video vignettes, before they are posted on the website. You are free to use the DVD for home and community showings. You will get, along with the website credit and DVD, a keffiyeh -- the scarf that symbolizes Palestinian pride and solidarity -- made in the last factory remaining in Palestine (in the ancient city of Hebron). The rewards above will be supplemented by a personally autographed copy of the 2011 release of "Popular Resistance in Palestine: A History of Hope and Empowerment" -- written by one of our Palestinian Gandhis, Mazin Qumsiyeh of Bethlehem. In addition to the other rewards above, you will receive a glossy, one-of-a-kind poster (designed just for this project) featuring the graffiti of Gaza -- the wall art through which many artists express their hopes and fears. In addition to the rewards above, we will plant an olive tree in your name in a West Bank village where settlers have destroyed the orchards, and send a picture back to you of the new tree, signed (with a message) by its owners. If you desire, the new owners of the young olive tree can become your penpal -- and your host on your own trip to Palestine! We will be soooooo grateful!